Pennsylvania Angus breeders attended the 2016 Pennsylvania Angus Association Annual Meeting and Banquet, January 8 in Harrisburg, PA. 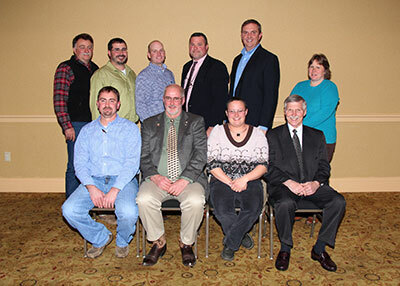 These men and women will serve on the Pennsylvania Angus Association Board of Directors and are pictured at the 2016 Pennsylvania Angus Association Annual Meeting and Banquet, Jan. 8 in Harrisburg, PA. Officers seated from left are Wendall Landis, Manheim, Vice President; Eugene Trowbridge, Meshoppen, President; Jamie Brozman, Bethlehem, Secretary; and Bradford Bishard, York, Treasurer. Directors pictured standing from left are Dale Rains, Mercer; Deric Horting, Newport; Kyle Grim, Thomasville; Delbert Voight, Fredericksburg; Chad Cash, York; and Mindy Seese, Stroudsburg. These young ladies were recognized as Pennsylvania Angus Royalty at the 2016 Pennsylvania Angus Association Annual Meeting and Banquet, Jan. 8 in Harrisburg, PA. Pictured seated from left are Kiersten Baker, James Creek, Pennsylvania Sweetheart; Madison Weaver, Ephrata, Pennsylvania Princess; Elizabeth Trowbridge, Meshoppen, 2015 Miss Pennsylvania Angus; Elizabeth Voight, Fredericksburg, 2016 Miss Pennsylvania Angus; and Casey Costello, Cambridge Springs, Pennsylvania Sweetheart. 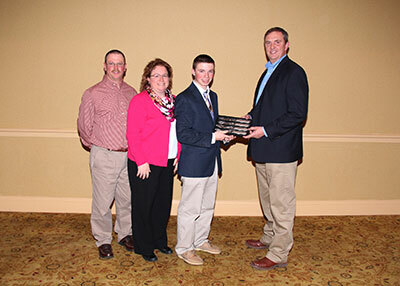 The Rohrbaugh Family, Seven Valleys, were named Family of the Year at the 2016 Pennsylvania Angus Association Annual Meeting and Banquet, Jan. 8 in Harrisburg, PA. Pictured from left are Douglas, Cathy and Daniel Rohrbaugh, recipients; and Chad Cash, last year's recipient. 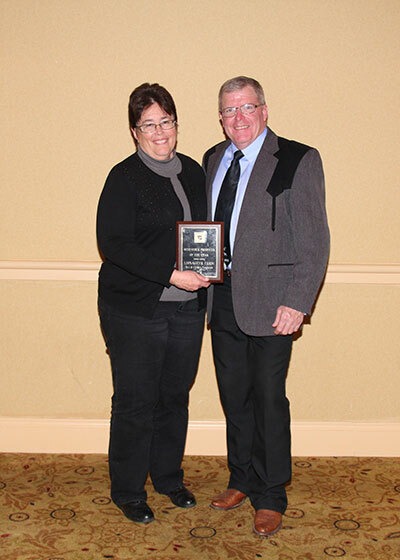 Cheryl and William Fairbairn, Lisnageer Farm, Coatesville, were named Seedstock Producer of the Year at the 2016 Pennsylvania Angus Association Annual Meeting and Banquet, Jan. 8 in Harrisburg, PA.
Charles and Janice Graver, Graver Farmstead, Bath, received the Stewardship Farm of the Year award at the 2016 Pennsylvania Angus Association Annual Meeting and Banquet, Jan. 8 in Harrisburg, PA. Pictured from left are Derek Thomas, grandson; Janice Graver, recipient; and Conner Timmerman, grandson. 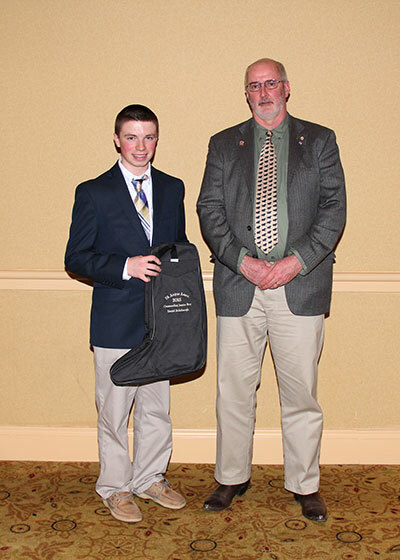 The Pennsylvania Angus Association presented Daniel Rohrbaugh, Seven Valleys, left, with the Outstanding Boy Award at the 2016 Pennsylvania Angus Association Annual Meeting and Banquet, Jan. 8 in Harrisburg, PA. Pictured presenting the award is Gene Trowbridge, Pennsylvania Angus Association President. Photo by Will Mayfield, American Angus Association. 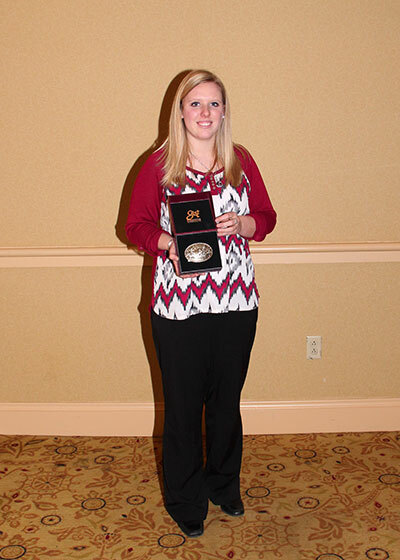 Kayce Myers, Wellsville, received a Showmanship Buckle for representing Pennsylvania in the 2015 National Junior Angus Showmanship Contest at the 2016 Pennsylvania Angus Association Annual Meeting and Banquet, Jan. 8 in Harrisburg, PA.